Blending an elegant Turkish Walnut stock with modern features, the Kral Ekinoks delivers blazing fast semi-auto shooting capability in a beautiful package. Using an air driven semi-automatic operating system, send pellets down range as fast as you can pull the trigger! The reciprocating bolt on the right hand side of the action cycles while shooting, allowing the spring loaded magazine to move from one pellet to the next until empty. The fully shrouded barrel keeps the noise level tame and the Kral choked and rifled barrel is able to place your shots on target with pinpoint accuracy. The 500cc bottle provides long shot strings, just air it up to 200 BAR (2,900 PSI) and fire away! 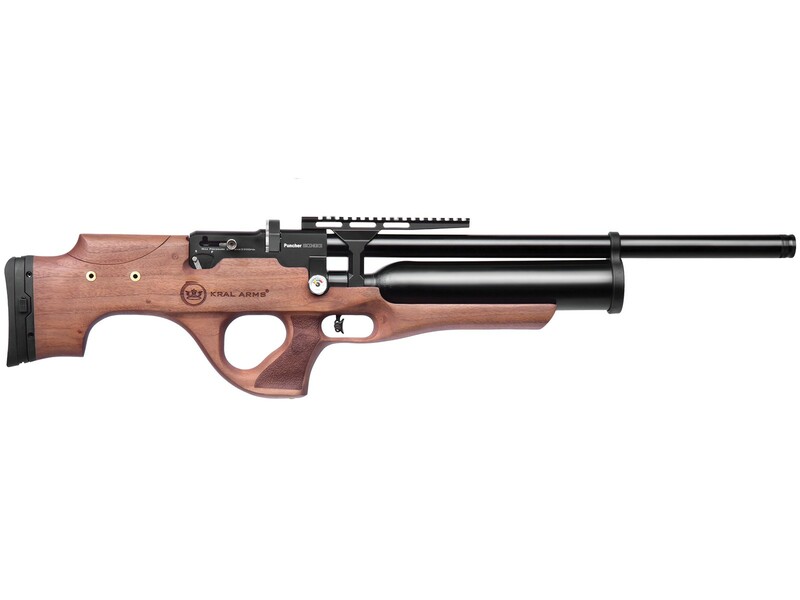 The Turkish Walnut stock gives the Ekinoks a touch of class, that makes the rifle look as good as it shoots. It also has a fair bit of adjustability built in with a height adjustable cheek piece that allows you to get a solid cheek weld even when using high scope mounts. You'll find a full picatinny scope mounting rail allowing for the optic of your choice. Packing 20 FPE in .177 caliber and 32 FPE in .22 caliber, the semi-auto Ekinoks is perfect for paper punching or pest elimination. can you change caliber like the knight?